Grand Designs Live, proudly sponsored by Anglian Home Improvements, returns in 2019 at London's ExCeL from 4-12 May and from 9-13 October at Birmingham’s NEC. Based on the Channel 4 series and presented by Kevin McCloud, the show offers visitors top expert advice, new product launches and specialist exhibitors in six project zones. Whether you’re planning a self-build, renovation or are adding the finishing touches, find ideas and inspiration for your very own Grand Design at this multi-award winning event. Get the latest show news, expert advice and project guidance. Partnered with NacSBA. Discover the benefits and dispel the misconceptions surrounding building your own home. Want to meet the face of Grand Designs? 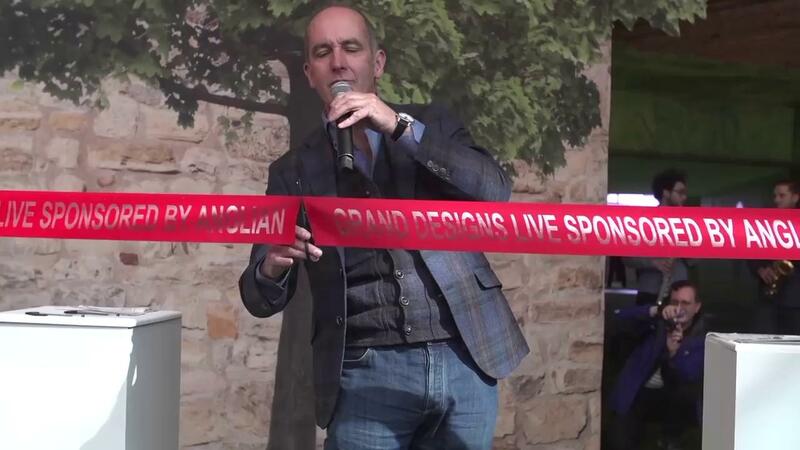 See Kevin McCloud and a host of industry experts live on stage. Discuss your own Grand Design in free 30-minute consultations with our experts. Reserve your spot in advance. Come and be inspired by Kevin McCloud’s selection of innovations set to shape the future.